These Crash Dash Cams are what all the rave is about! If you were ever worried about proving anything that happens on the road that time to worry is officially over with the TadiBrothers Crash Dash Cam. If anything at all happens to you it will be recorded in high quality color for anyone to see, from the police, to the courtroom. This camera records in a continuous loop so you never miss a thing, you will always have this camera protecting your when driving anywhere at anytime. The camera has buttons on it to begin recording, stop recording, or playback (on optional monitor or on a computer). There are also indicator lights so you know what the camera is doing. 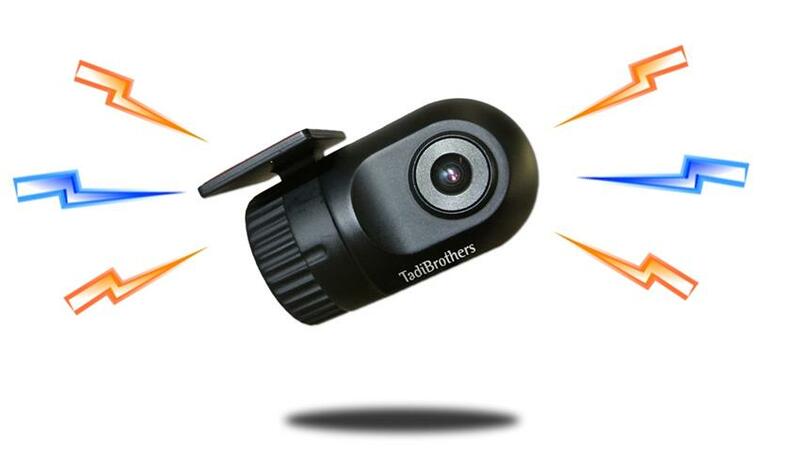 This TadiBrothers Crash Camera is great because it has a G Sensor. That means is that if you hit something the camera immediately senses it and begins recording with a time stamp. So if the camera was not recording at the time of the crash, the G Sensor would begin recording for you. This insures that it will never miss anything important. You can also connect this to any monitor with an RCA plug, like the ones we sell. This Crash Camera can be wired to any constant 12V power source or you can get a cigarette lighter adapter from us and use that for power. The camera mounts to your windshield towards the top by your rearview mirror.